The United States Figure Skating Nationals have been taking place all week. As an avid fan of figure skating, I have been watching every moment I can. Thursday night, the ladies skated their short program and it took almost 4 hours. As I was watching, I couldn’t help but think about Clay Aiken and his escapades on the ice. The first time we heard about Clay on the ice was on December 21, 2003. Called Skate With Clay, the Bubel/Aiken Foundation and the Carolina Hurricanes sponsored a great afternoon of skating. Clay spent the afternoon at the RBC Center, ice-skating with 100 children from the local area. The purpose of the event was to mingle children with and without special needs together. It gave them the opportunity to learn from each other and make new friends. I wonder if Clay has been skating recently. He seemed so at ease on the ice and seemed to have a good time. Are you watching the US Figure Skating Nationals?? You can catch the ladies on NBC on Saturday night at 9pm (Eastern Time). The girls are skating for placement on the Olympic team. The following videos show Clay as he makes his way around the ice. It was nice seeing the videos again. It's been awhile. 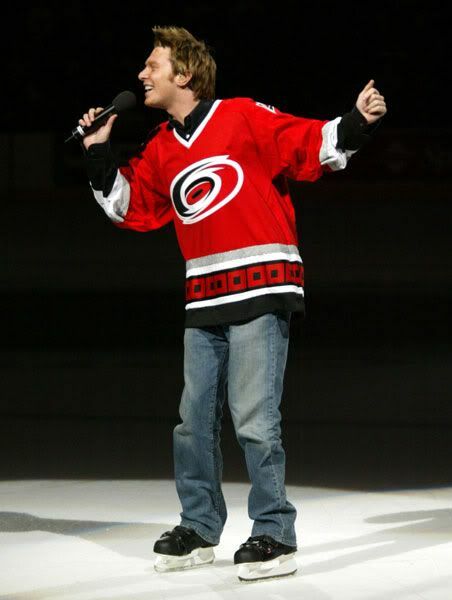 When I think back to when Clay skated while singing…..I really have to hand it to him…..Just to sing to a packed arena would have been enough…but to sing and skate at the same time…..that takes quite a bit of confidence…He pulled it off though. Loved the Capital One Skating show as well…not only the skaters, but being able to listen to Clay sing….it was done really well. 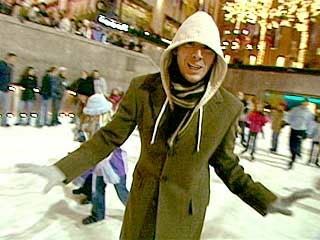 Haven't seen the skating vids when Clay Aiken hosted Capital One Skating for a long time. Fun! Thanks for the videos from the skating show. Clay Aiken does like his skating. I was lucky enough to be at the Hurricanes game that night. Clay can skate. Love the videos of Clay on the ice. It was fun seeing him pretend he couldn't skate when he was on the Christmas special. He really is OK on the ice. I haven't seen those videos of Clay on the ice for a good while. He seems to really enjoy skating. It was comical watcing him have to pretend not to know how to skate when he was on the Capitol One Holiday show. Clay Aiken is a better skater than he lets on. Those were fun to watch! Thank you for the excellent overview of the good works and fun performances Clay Aiken has provided on skates. Loved watching the videos again! I love skater Clay. As a skater myself it would be a dream come true for me to get to skate with him. I'm sure that'll never happen, but I have skated to Clay's music a few times. Error: Error validating access token: Session has expired on Tuesday, 21-Aug-18 16:13:01 PDT. The current time is Wednesday, 24-Apr-19 21:08:22 PDT.